The Constitution of Kenya 2010 enhanced momentum on waste management through Article 42 that assures Kenyans a clean and healthy environment as a basic right. Article 69 obligates the government to eliminate all processes and activities that degrade the environment. Schedule 4 devolves domestic waste management to counties. The Ministry of Environment and Forestry has taken a number of initiatives on waste management. The Ministry has over the years constituted several committees to oversight waste management issues. The Ministry is currently developing the Waste Management Policy and Bill which will harmonize the provisions of the constitution and existing laws including the lessons learnt over the years. The bill and policy seeks to deliver a strategic and harmonized approach to engage all stakeholders in waste management. The Waste Management Bill and Policy were developed through a highly consultative process. The Ministry of Environment and Forestry appointed an expert on waste management to develop a draft of the National Solid Waste Management Bill and policy. The draft was then subjected to several consultative meetings to solicit for stakeholder comments, which were used to improve the draft. County CECs and Chief Officers were also consulted to give their views and comments regarding the draft Bill. The draft was finalized and uploaded onto the Ministry’s website for public viewing and comments in February 2018. Establishment of a Waste Management Directorate at the Ministry of Environment and Forestry as the apex department to coordinate policy and intergovernmental relations on waste management issues. Establishment of a Waste Fund to finance waste management issues at the National and County levels. Establishment of knowledge management system and ease of access to information by public on waste management. Delineates roles of the National Government, County Government and NEMA who are the key players in waste management. Provides for requirement for an elaborate Public Participation process in decision making on waste management. Establishment of extended producer Responsibility and Take Back Schemes for waste generators. Recommends for Implementation of the Polluter Pays Principle even at individual level. Imposes high penalties for improper waste disposal and breach of the law. 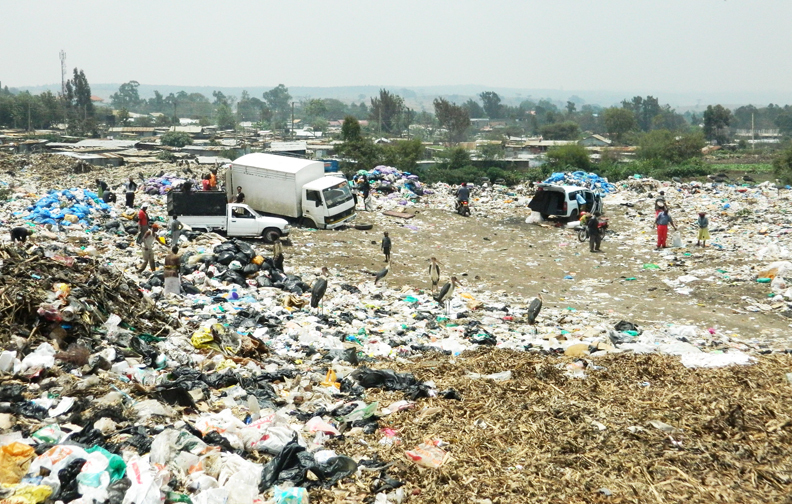 Reiterates the requirement for sufficient land to be designated as waste receptacles by County Governments. Encourages expansion of investment opportunities in sustainable waste management especially in waste collection, separation, treatment, processing, recovery and sanitary final disposal facilities by counties. Recommends for addition of a sustainable waste management module in the Education System at all levels. Requirement for development of County Waste Management Action Plans and implementation of the same, funded through the Waste Fund. Urges County governments to take advantage of economies of scale and partner in waste management. Reporting annually to the Waste Management Directorate and the County Assembly on the implementation of the County Waste Management Act and regulations. Each county shall establish an award scheme for citizens who credibly bring to the authority cases of illegal dumping and littering. Cabinet Secretary may establish an award scheme for recognition of owners or operators of waste collection, separation, recycling and composting facilities whose innovation, efficiency or compliance status has been exemplary. Establish a public website where citizens can forward their complaints on matters related to waste management. Good and progressive. I hope it will soon see light of day and start operating….